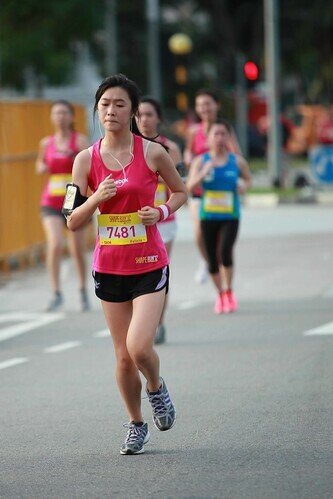 One of the common hobbies of typical Singaporeans is running, so every year without fail, marathon events will be held on various occasions by many sponsors. 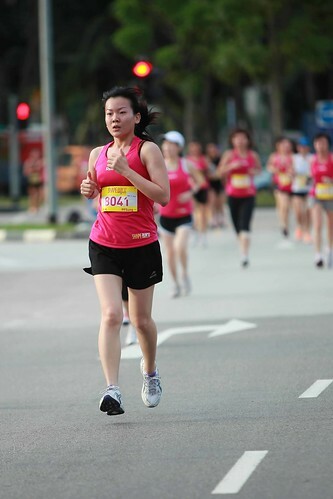 As the name suggests, Shape Run is held by Shape magazine in Singapore which is a all-women run of three choices of route, 2.4km, 5km or 10km. 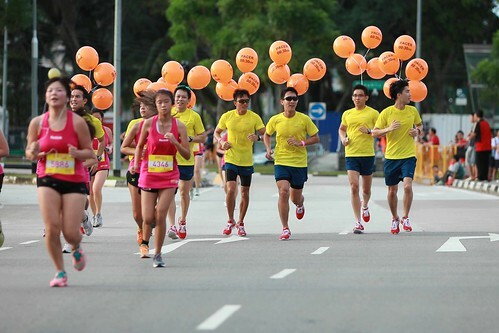 Runs like that will mean closure of public roads or part of major roads to be part of the running route, yes, typical runs or marathons held in Singapore involves in running on the roads alongside with vehicles and seldom beaten paths. So Sunday morning is always a favorite day to hold marathon or running events because most people would sleep in late and would not hit the road till noon. 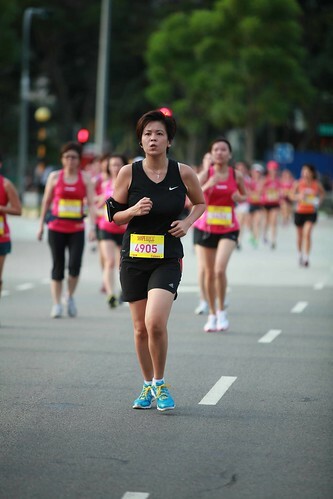 I was there this morning and captured various runners near the finishing line. I used my trusty 70-200mm f2.8L IS USM (not mark II) on my 5D II. I had fun clicking away on my shutter bursting away on AI SERVO mode. Some cropping and arbitrary rotations were done on certain photos. I was lucky she looked straight at me which is cool! 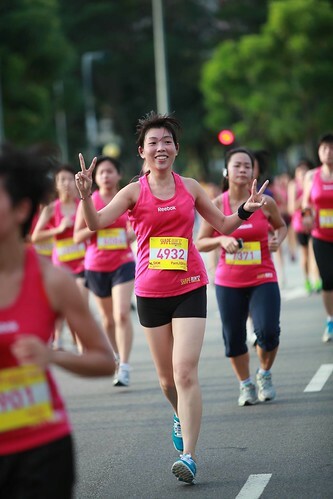 Carrying a smiling face while heading for the finish line. Wants to look good in the photo? Maybe. 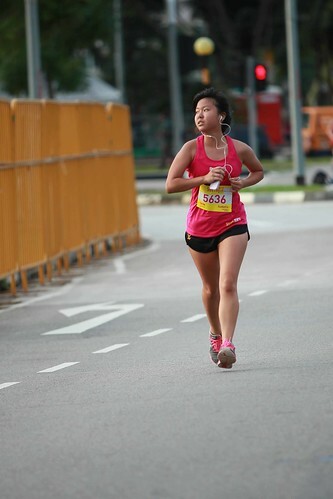 Caught her looking at the finishing line. 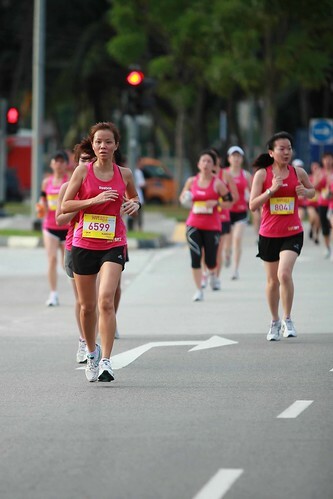 Why are there guys running in a all-women run? This is the new implement that Shape did to motivate the ladies and these guys were also there as a pacer. If you are keeping up with them, you are hitting a certain timing for the distance you are running. Thank you Mitzi! Do follow my blog if you like! Cheers! 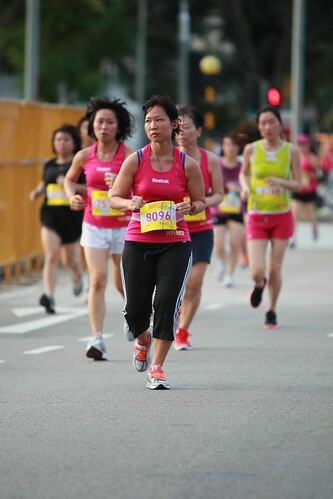 Nice running photos! I was also photographing such an event yesterday, but since it was a night event I am afraid the results might not be really comparable to yours. Do you still use EOS 40D or have you upgraded? I have already upgraded to 5D II! It is a great camera! I love it a lot! Do share your night event photos, I’m sure it is not so bad after all! Cheers! Great photos! 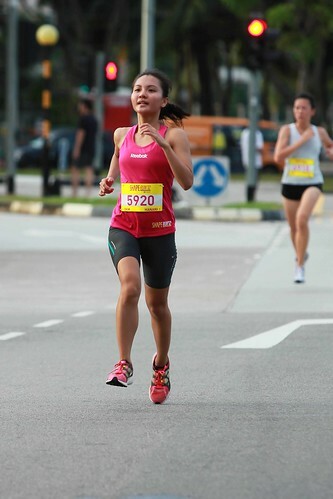 I’m an avid runner myself. You captured the action wonderfully! Felt like I was there. Thanks for sharing. You are very welcome!! Thanks for visiting!!! Oh wow Alex, this is just perfect. I’m being invited to join a running club that does early Sunday morning runs with running coaches for the newbies. Thanks for leading me to your blog. It’s inspiring. You are welcome! Enjoy your running with the club! I’m sure you will like it! Cheers! Awesome shots, Alex! These are all excellent photos. Thank you so much for visiting!!! Do follow my blog if you like! Great photos you have here, am also using a Canon DSLR. would you recommend the one you used? I would really recommend that one I’m using now. But you have to ask yourself if you are willing to lug heavy bags with camera gears around for photography or just want light and easy? do u live in singapore? Yes! I am living in Singapore. How about you? Maryland. This is where ive been all my life. I want to travel once i graduate college. Looks like youve been all over according to your blog. Thats soo cool!! Yea, it is awesome to travel around and USA is another awesome place to travel and tons of photography opportunities! Thanks. Could u follow my blog? Thank you so much! It is so nice of you to nominate my blog! Cheers! You should get a telephoto lens! It is great to have and use! You are so welcome! Do feel free to follow my blog too! You capture very nice impressions there, great work. It reminds me that I should do more to stay in shape too, though. Thank you!! There are so many ways to keep in shape! Hope you can find one that you enjoy and stay in shape as well! Nice set sir Alex, Here in the Philippines it’s a popular hobby now. Running events here and there. Exactly! I have so many close friends from Philippines who indulged themselves in the joy of running marathons happening here in Singapore! yup. It’s the in-thing now but in a good and healthy way. Yea! It sure is a good way to keep healthy! 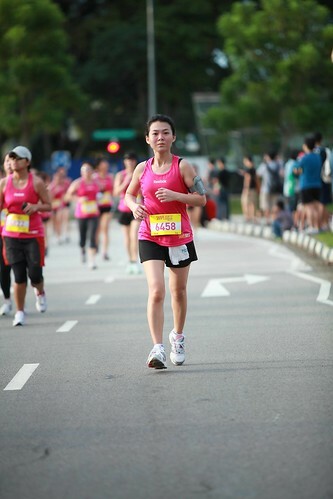 wonderful shots of the runners, you really captured quite a great set. 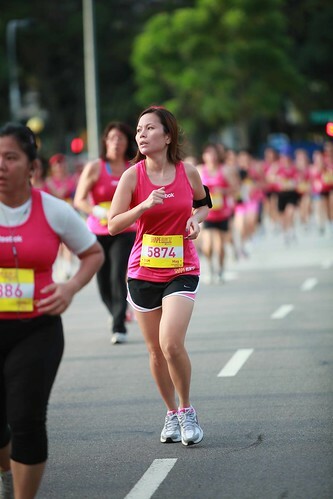 love the one of the lady that looks almost as if she is skipping rather than running. seems as if she is really enjoying herself. Yes! 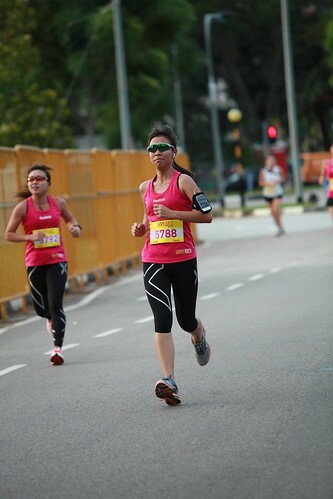 Those runners were indeed enjoying themselves in the run! Thank you for your wonderful compliments! Great photos! And the runners don’t even look out of breath! Thank you! Thanks for your comment too! Yea, that is why many people like running too! Finishing a run is always so fulfilling.. Cheers! 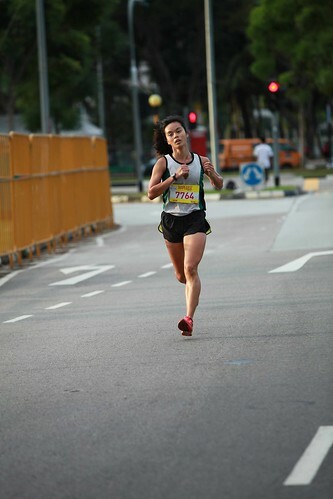 Very clear sharp pictures of those runners. The 3rd photo is best in my eyes. Thank you so much for your comment! I’m so glad that you like it! I thoroughly enjoy the runners, but I also appreciate the variety of your photos. The belly dancer is so human and lovely. Thank you for your kind comment! Cheers! Thanks for visiting my blog too! Cheers! i have been through your blog. you are incredible. just loved the pics and enjoyed reading each and every one of your writings. will follow your blog. thanks for inspiring me. Thank you! Thanks so much for visiting! Nice clear shots! well done. You captured these actions shots nicely Alex. Great job! Your use of shallow DOF while not croppign too closely makes for good subject isolation while keeping them in the context of a competition. Thank you so much for your motivating comment! It means a lot to me! Do feel free to follow my blog if you like! Cheers! Hahaha!! 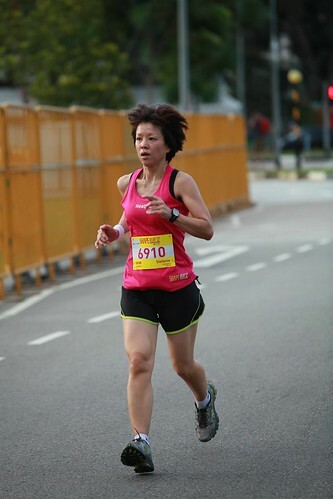 I wish I can photograph the marathon you are in! 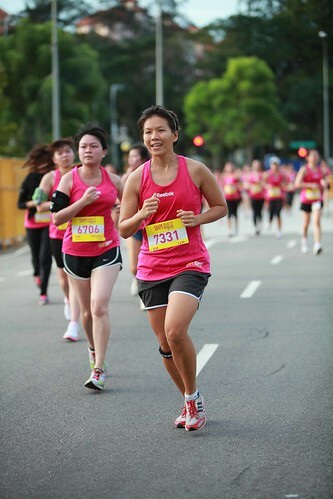 good to see cheerful runners here, nice shots alex! Thank you very much for dropping by and giving such nice comments! Ya sure! Do feel free to follow if you like! Wow! Thanks mate! Cheers to you!! Very nice of you to drop your comment! Thanks!